Photo taken in Vik, Iceland. There is nothing more majestic than a horse. 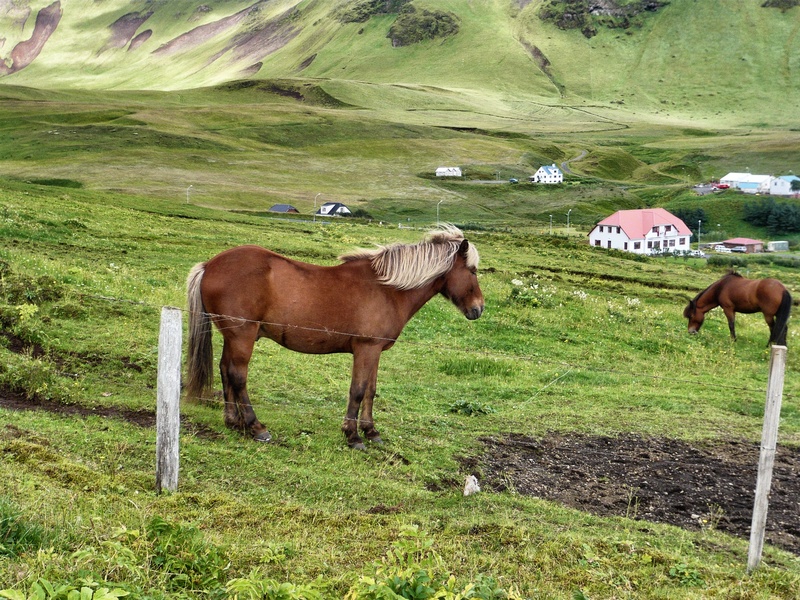 I loved these horses that we passed by during a hike in Vik, Iceland. They seemed to have a great life, grazing on the lush, evergreen grass. Aren’t they sweet little ponies? How’s your mother in law doing? I really want to go to Iceland. Knowing you, I’m sure you will go!